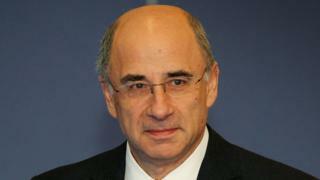 The second stage of the Leveson Inquiry into Britain's press has been scrapped, the Conservative manifesto reveals. The first part of the inquiry, in 2011-12, examined ethics, but hearings into corporate malpractice and papers' ties to the police were put on hold amid criminal inquiries over phone hacking. Also gone is the threat papers would have to pay the legal costs of those taking action against them, unless they signed up to an approved regulator. And Channel 4 is to move out of London. In a section titled A Free Media, the manifesto also pledges to scrap Section 40 of the Crime and Courts Act 2013. The scrapping of "Leveson 2" and Section 40 will thrill most of Britain's most powerful newspaper groups, who feared damaging headlines from a second stage of the Leveson Inquiry, and potentially significant legal costs from Section 40. However, campaigners and victims of press abuse, who believe that David Cameron guaranteed the second stage of Leveson when prime minister, will be extremely disappointed. In an earlier section titled Shared institutions of the Union, the Conservatives also say for the first time that Channel 4 will be relocated outside London. The manifesto also confirms an earlier announcement by Culture Secretary Karen Bradley that the broadcaster will remain publicly owned. The announcement comes as Channel 4 searches for a new chief executive. David Abraham, who is currently in post, will step down later this year.